Caroline grew up in southeast Michigan and earned a bachelor’s degree in horn performance with teacher certification at the University of Michigan. 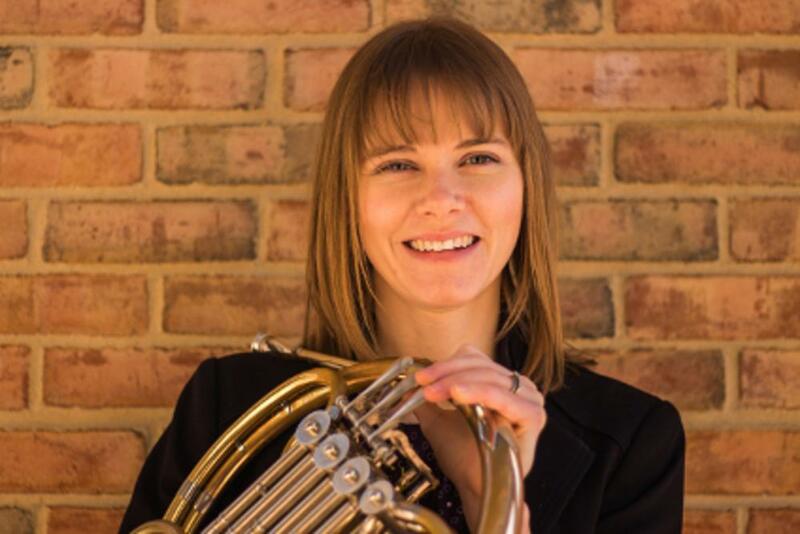 After graduating from Penn State with her master's degree, Caroline continued her education at the University of Michigan, earning a doctorate in horn performance in spring 2016. As a teacher, she held a teaching position at the State University of New York- Potsdam’s Crane School of Music, and was a graduate teaching assistant at Penn State and the University of Michigan. She currently has a thriving private studio in Michigan where several of her students participate in solo and ensemble contests at the district and state levels and perform at the Michigan Youth Arts Festival. Committed to chamber music, Caroline has played with the Potsdam Brass Quintet, the faculty quintet-in-residence at SUNY Potsdam, and the Emblems Woodwind Quintet, an Ann Arbor-based quintet focused on performing new and underrepresented works. In 2015, she participated in a chamber music residency at the University of Michigan with the New York Philharmonic’s principal winds. Her commitment to new music is evident through her participation in chamber ensembles as well as the University of Michigan’s Contemporary Directions Ensemble, which premiered several works by university composition students and which participated in the Midwest Composers Symposium in 2013. While at the University of Michigan, she performed with the Detroit Symphony Orchestra, Detroit Chamber Winds and Strings, Toledo Symphony Orchestra, and the Mariinsky Theatre Orchestra under conductor Valery Gergiev. Caroline credits the abundance of performance opportunities she was given at Penn State as one of the reasons for her success. She doubled her repertoire list of solos, horn ensemble literature, and large ensemble literature in just two years due to her study with professor Lisa Bontrager, as well as performing with Penn State’s large ensembles and local orchestras.